Evidence-based practice is now a core element of many governments’ approaches to policy-making and social intervention. It has become a powerful movement that promises to change the content and structure of social work and its allied professions. Its emergence has generated much debate and raised challenging questions, however, particularly at the interface of research, policy, and practice. 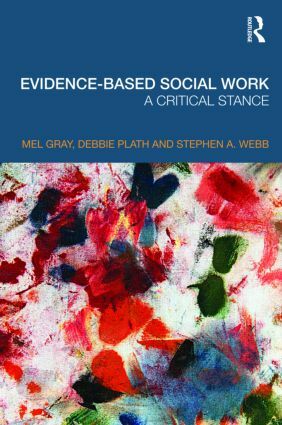 This book provides a critical analysis of evidence-based practice in social work. It introduces readers to the fast changing research, policy, legislative, and practice context. It discusses what constitutes knowledge in social work, the values and beliefs that lie behind EBP and problems of implementation, formalisation and resource management. Reflecting on the challenges of transferring evidence-based practice to frontline social work practice, the authors argue that social work practice is not easily measured and systematised into best practice guidelines that disseminate proven diagnostic and effective intervention knowledge. Using Actor Network Theory for the first time in the social work literature, Evidence-based Social Work illuminates how adopting the methodology and language of evidence-based practice fundamentally alters the conditions under which social work takes place. This book is vital reading for academics, practitioners, and students with an interest in contemporary social work practice and research.